This article covers the second part of a four-part series about Byzantine History summary. It picks up where Rise of the Byzantine Empire article left from. Byzantine Empire from 565 (the death of Emperor Justinian) until 1176 (Battle of Myriokephalon). 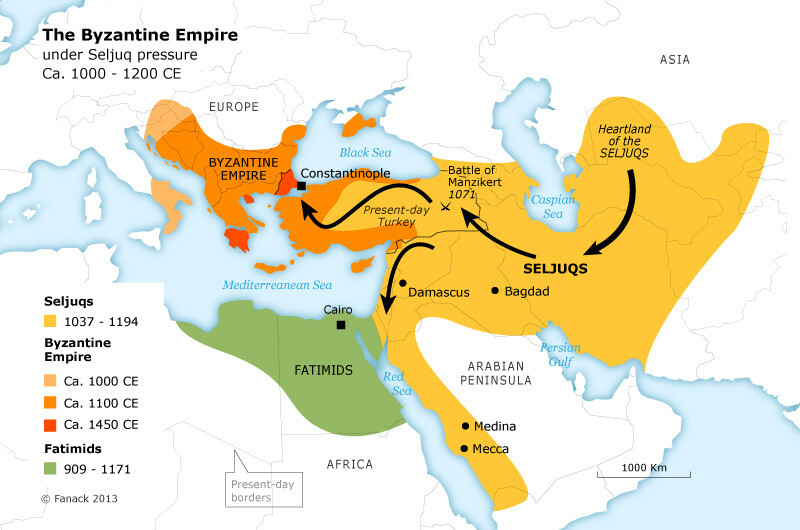 After Justinian, Byzantine Empire began to decline swiftly. 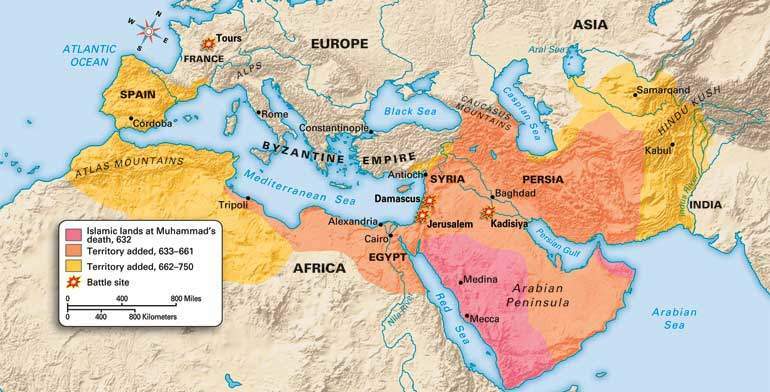 Although Avars’ occupation of Constantinople in 622 was suppressed by Emperor Heraclius, imperial lands in 7th century was lost in great deal due to heavy attacks by Arab-Muslim union. Arabs captured Jerusalem, Palestine, Antioch and Mesopotamia in 637 and Egypt in 641. In 673, Arab caliphate Muawiyah occupied Istanbul with his navy by imperial capital was really difficult to capture due to its strong walls. The loss of important Christianity centers like Antioch, Jerusalem and Alexandria dealt a great blow to Byzantine. The empire lost its composure in a way. 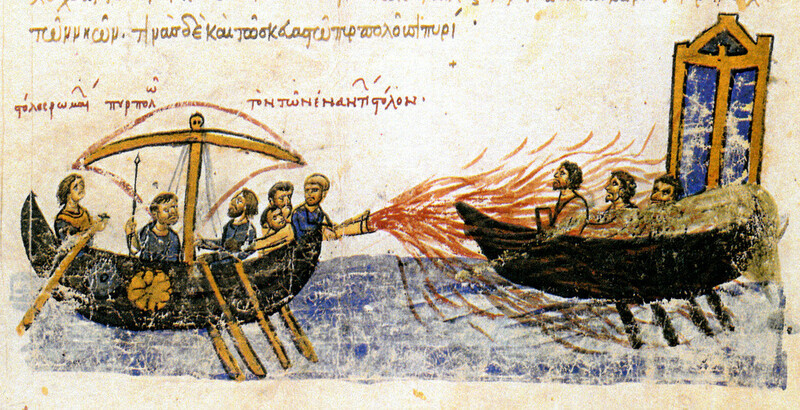 Incendiary Greek fire, similar to Molotov cocktail, dates back to this time. It is a similar to gunpowder, thrown through pipes behind the walls into the navy. It couldn’t be extinguished by water and its fire consumed the navy. This incendiary substance had a influencer over the fact that Constantinople could not be captured although invaded by different civilizations. Bulgarian danger after Avars in 679 threatened the western borders of the empire and pushed Byzantine behind Danube. In 8th Century, lands of the empire were diminished and were subject to threats. Isaurian dynasty took over the throne and brought stability to the Byzantine. The rule of Isaurian dynasty was identified with Iconoclasm reformation. These emperors thought that monasteries and churches damaged the state significantly and these institutions should be decreased in their influence and properties. With the belief that enchanting icons exploit the public religiously, emperors replaced all icons in churches with geometric motifs. They seized the monastery lands and distributed them among people who have benefited the state. They forced monks to marry. Reformed during the iconoclasm period, the army had great victories against the Arabs and Slavs so that remaining Byzantine lands were secured. The reason for iconoclasm according to some historian was the belief of emperors that the god had forsaken them since they lost so many lands in a short time. According to this view, god took side with the Muslims and punished the Byzantine people as they worshipped icons instead of himself. During 9th and 10th centuries, Macedonian Dynasty, on the side of icon-worshippers took the administration and they increased the importance of churches and monasteries. 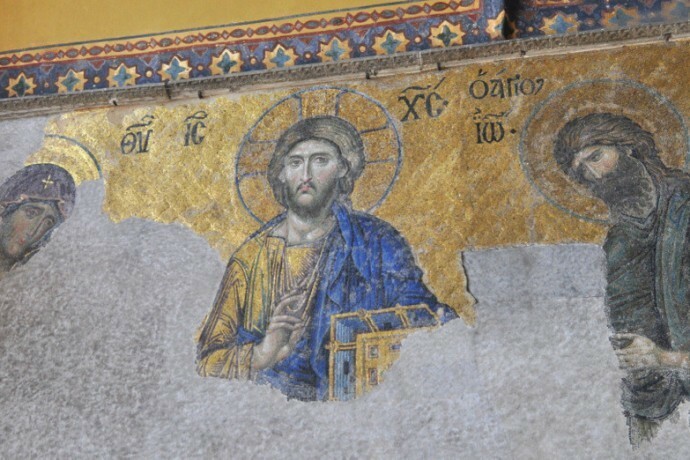 Iconoclasm ended with the public opening of fascinating Jesus-Mary icon that can be seen today in Hagia Sophia. 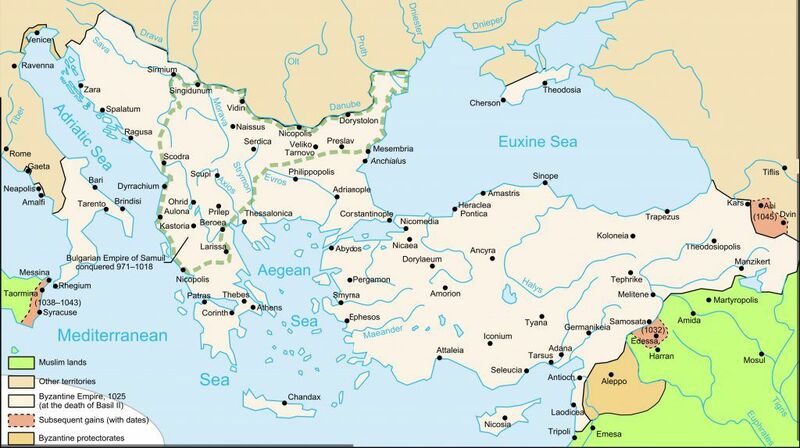 Macedonian emperorsdeveloped the trade capacity of Byzantine and improved the defense. There were great developments in art in this period. The damage of iconoclasm to art was restored. 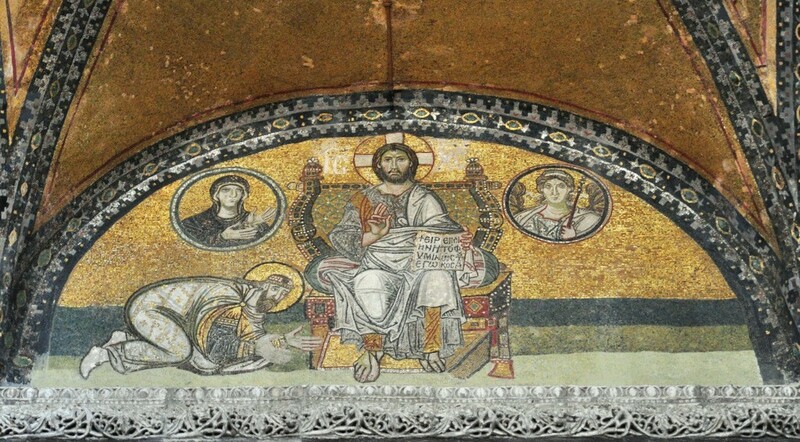 Most mosaics in Hagia Sophia today were completed during this dynasty. During the reign of Basil II, “The Bulgar Slayer”, the dynasty had a vast territory stretching from Danube to Euphrates. Central administration and army of the state were strengthened and it became a central force in trade as well. Victories were declared against Bulgarians and Arabs in 10th Century. This period marks the time when Russians emerged. After the death of Basil II, this dynasty came to an end and anarchy prevailed for some time. By the death of Basil II in 1025. A fierce opponent during the Middle Ages, Patriarch in Constantinople and Pope in Rome had differences of opinion many times and they were finally separated in 11th century. Papal legates sent in 1054 by Pope Leo IV announced to the public that Patriarch was excommunicated by Pope and he is no longer Ecumenical Patriarch. Afterwards, Pope declared that he was the only leader of all Christians in the world. This event marks the moment when seeds of animosity between the East and the West were planted. 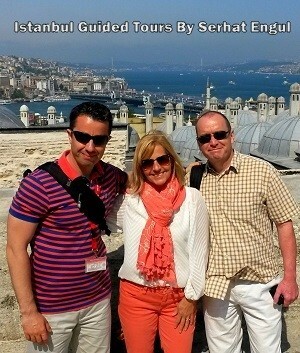 It paved the way for Latin Invasion and the Sack of Constantinople during the 4th Crusades. Disorder after Macedonian emperors continued during 1059 – 1081 and during the disorder a new and fierce opponent emerged against Byzantine: Turks immigrating from Central Asia. Seljuk Empire of Turks entered Anatolian lands belonging to Byzantine after the victory at the Battle of Manzikert and they captured the whole Anatolia except some coastal cities within 10 years. Although the Battle of Manzikert is not widely known in the history, it includes many plots, actions and dramas similar to the well-known TV series Game of Thrones. Emperor Romanos Diogenes IV is an important Byzantine Emperor. He faced one of the best Turkish commanders of history, Sultan Alparslan. You can read the story of the Battle of Manzikert by clicking on the link at the end of the article. Invasion of Anatolia by Seljuk Turks had been the biggest problem of Byzantine until the Latin invasion in 1204. Emperors of Komnenos Dynasty tried hard with the help of Crusaders to get Turks out of Anatolia. However, it couldn’t be successful as Byzantine lost the Battle of Myriokephalon (1176). After the Latin invasion until the Fall of Constantinople, Byzantine had to move back into the defensive position. The next article will be about the Crusades and Byzantine Empire. During the IV.Crusade, the Latin army captured and sacked Constantinople. Latin invasion lasted from 1204 to 1261. 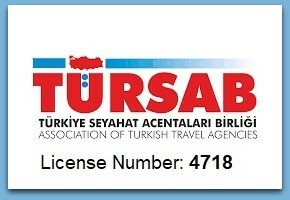 You may find the link in further reading section.